Are you looking to start an activity that will not only improve your heath but also your mental state? The benefits of paddle boarding are nearly endless, though we’ll try to narrow down the major highlights of the sport. Paddle boarding can be done by nearly anyone, even those who think they don’t have the balance and skill to do so. Here at The Adventure Junkies, we want to inspire you to try new activities or simply pursue the sports you already love to do. 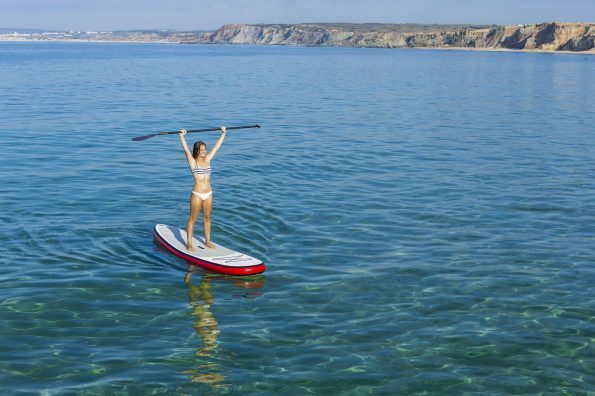 This article will cover exactly why paddle boarding is healthy for your overall well-being. The more you practice paddle boarding, the better your balance will be both on and off the water. Paddle boarding develops your sense of stability, which helps in daily life as well as in other sports that require you to stay balanced like yoga or surfing. As you paddle board more often and become more stable, you’ll be able to use your paddle board to surf waves or paddle long distances. Did you know that with the right paddle technique, your core is doing most of the work — instead of your arms? Every time you complete a stroke, your abdominal muscles contract like a mini-crunch. Because of this, paddle boarding develops your core in a way that few other sports can. Stronger core muscles will help you in all activities, increasing your endurance and changing the way your body looks. Though most of your paddling is done through your core, your upper arms and shoulders also play a major role in paddle boarding. Each session will build your upper body strength overall, and soon you’ll be able to paddle for hours at a time without feeling fatigue. Best of all, the strength you gain through paddle boarding will also help with sports like swimming, kayaking, and surfing. This makes paddle boarding a great supplemental workout for other activities that rely heavily on arm strength. While carrying the paddle board is often seen as a major con of the sport, just think of the biceps you’re building as you lug it down to the shoreline. Your legs are constantly adjusting to the rocking of your board as you paddle — bending and straightening constantly like counterweights to an unstable board. Even paddling through flat water requires your legs to stabilize as you glide through the water. These movements not only improve your balance but also strengthen your legs. When you’re paddling over the lake or the sea, you might find that your daily stress and worries are left ashore. While paddle boarding, your brain is focuses on the physical movements and environment of paddle boarding, leading to mental clarity and a chance to disconnect from the world of social media, work, and other everyday details. If you’re mulling over an important decision, you might find it helpful to go for a paddle and see if the disconnect from land helps you arrive at the right choice. Physical activity in general does wonders for reducing stress, which is one of the most damaging contributors to our health. According to Healthline, stress can have negative effects ranging from mental health issues to triggering disease to premature aging. Exercise, especially when done in nature, is proven to reduce stress. Paddle boarding is one of the fastest growing sports in the world, with thousands of people heading out to the water with their boards in tow. 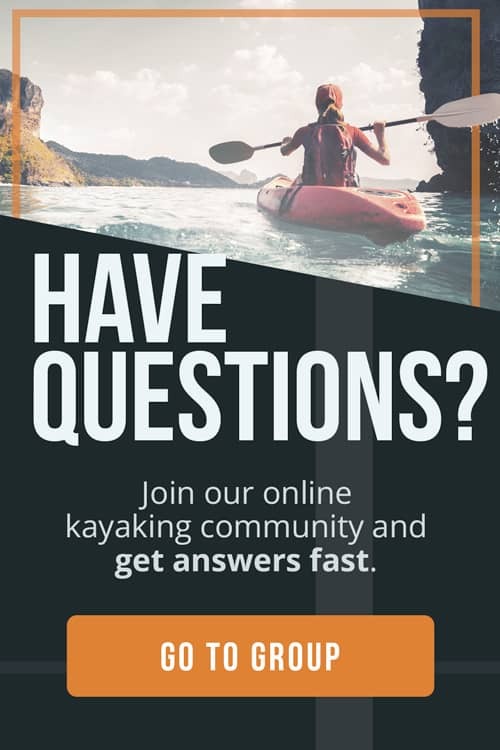 There are tons of websites, clubs, and communities where you can make friends and go out on paddle boarding excursions with like-minded people. Who knows? You might even meet your future best friend or life partner through the sport! Paddle boarders also love to swap gear and try out new rigs — so within this community, you’ll also be able to develop a sense of what type of paddle boards and paddles are right for you. Low impact exercises like paddle boarding do wonders for heart health. 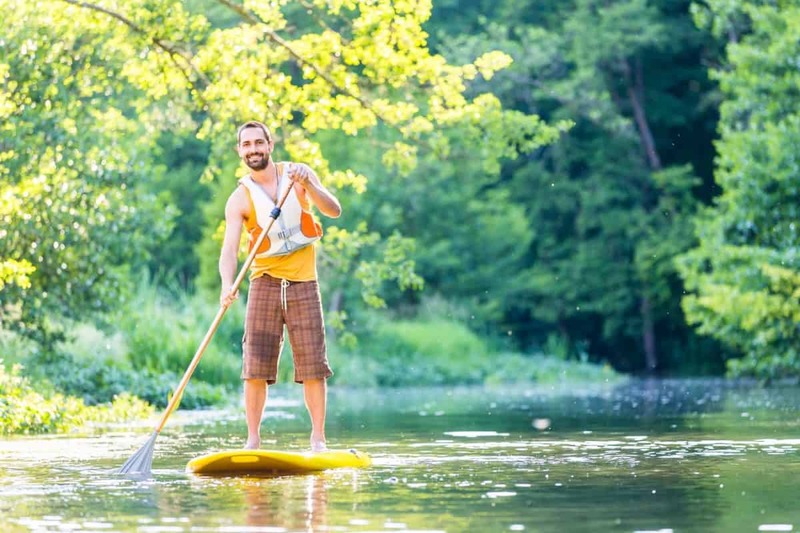 Paddling even just fifteen minutes per day will improve your cardiovascular system. You can cater your paddle boarding sessions to be as easy or challenging as you want. The faster you paddle, the harder your heart pumps to get moving. If you don’t get enough exposure to the sun, you might become deficient in vitamin D. Those who don’t have a healthy amount of vitamin D in their system might suffer from fatigue, depression, bone weakness, chronic pain and more, according to Prevention Magazine. When you’re paddle boarding in the sunshine, you’ll be getting your daily dose of vitamin D which also happens to be one of the hardest vitamins to get from food alone. The more you paddle board, the better you’ll get at navigating through water conditions of all types. 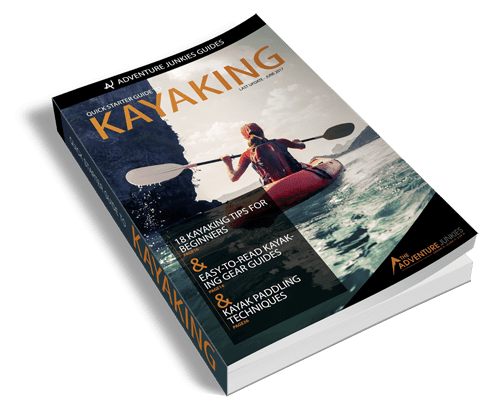 Experienced stand up paddlers often go on tours where they explore rivers and coastlines that are only accessible with a vessel like paddle boards, kayaks or other boats. Paddle boarding will help you become a skilled explorer and navigator who can venture to places that few have gone before. If you’re wanting some inspiration on where to paddle, why not check out our top paddling destinations around the world? Every movement in paddle boarding increases your flexibility throughout the body, especially in challenging conditions. Paddle boarders are forced to adapt to different scenarios, and their bodies along with it. Actions like going from your belly to your feet condition your body to be flexible — as do all the shoulder rotations when you paddle. If you get bored easily or love to try new things, stand up paddle boarding is the perfect sport for you. 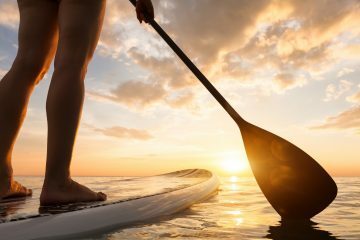 Once you master the basics of paddle boarding, you’ll be able to try out everything from surfing massive waves to racing through flat water with a paddle board. You can hop from one type of paddle board to the next, from a pond to the ocean or from a 9’0″-long board to a whopping 12’0″-long touring board. There is so many variations within the sport, so it’s unlikely that you’ll ever tire of doing it.